Pre-cut to 3 1/2 x 2 size, easily trimmed further with scissors. 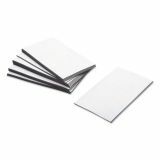 ZEUS Business Card Magnets, 3 1/2 x 2, White, Adhesive Coated, 25/Pack - Adhesive-backed magnets are cut to business card size. 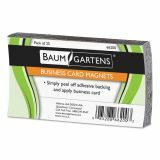 They are perfect for small businesses as a marketing tool. 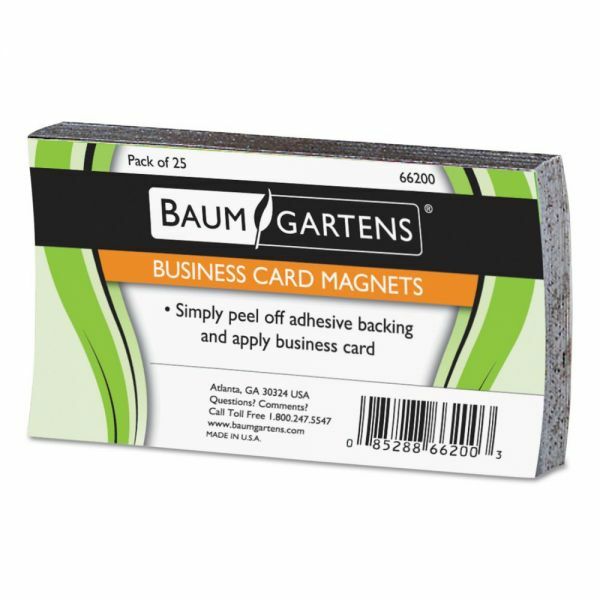 Easily adhere your pre-printed business card directly onto magnets.